Teeth Grinding | Eastern Long Island, NY | Joseph F. Sciotto D.M.D. 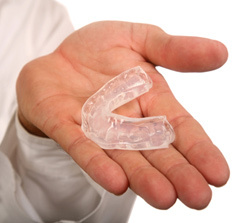 If your child suffers from bruxism, or teeth grinding as it’s more commonly called, you have every reason for concern! But we’re here to help and to reassure you. Give Joseph F. Sciotto D.M.D. a call today and make an appointment to have your child seen by the dentist to determine whether your child needs certain treatment as a result of grinding their teeth. … about your child’s teeth grinding! Call us to schedule an appointment to find out whether you have a concern or not. At Joseph F. Sciotto D.M.D. we’re here to ease your child’s pain and your concerns!